Power from the electrical company's line flows through a home's outside meter and into the electrical service panel, which controls the flow of electricity into the house. Total electrical usage cannot exceed the panel's capacity, which can be 100, 150, 200 or 400 amps. Homes may also have sub-panels that are located elsewhere, which are smaller versions of the main panel and wired through it. The standard for household power used to be 60 amps. But modern homes may need as many as 200 amps to run air conditioners, computer equipment, high-definition televisions, and high-tech home automation devices. As we’ve progressed in the digital age, the need for more outlets, more ports, and more power has rendered the electrical components of many older homes inadequate. Stretching the power supply too thin ultimately results in circuit overloads, shorts and blown fuses. So, if you are experiencing some of the electrical failures, you should give us a call at H MAN ELECTRIC to assist you with power upgrades.At H MAN ELECTRIC ,we specialize in residential electrical panel upgrades that range from 100-400 amps service depending on your needs. 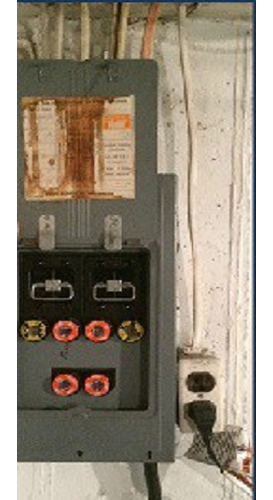 Most older homes lack proper grounding and generally have electrical panels that only meet the minimum requirement of 100 amps. 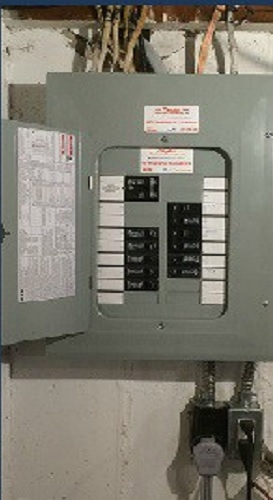 We can upgrade the existing electrical panel or install a new one quickly and that too, with minimal power outage. Book a consultation with our licensed electricians for electrical panel upgrade services across Toronto, Brampton, Mississauga, Milton. Certified electrical contractors at H MAN ELECTRIC provide electrical panel upgrade services across Toronto, Brampton, Mississauga, Milton, North York, East York, Oakville, Richmond Hill, Aurora, Newmarket, Brantford, Markham, Vaughan, Pickering, Ajax, Oshawa, Scarborough, Whitby & surrounding Greater Toronto Areas (GTA) for more than 10 Years.